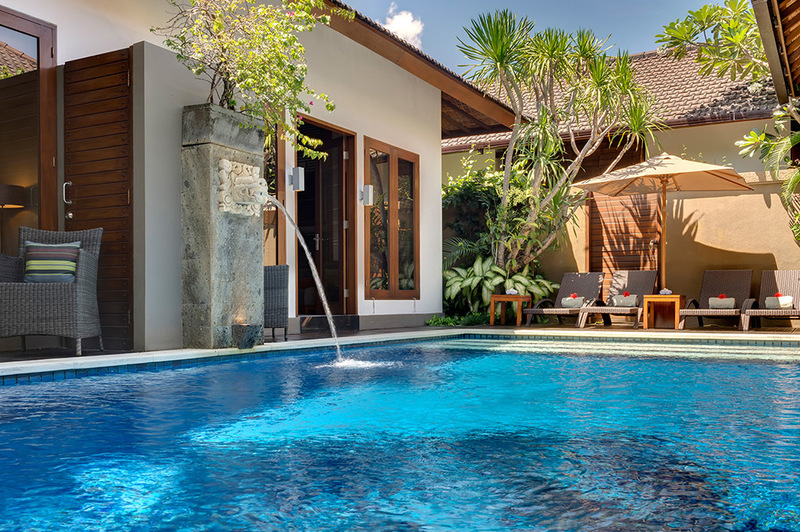 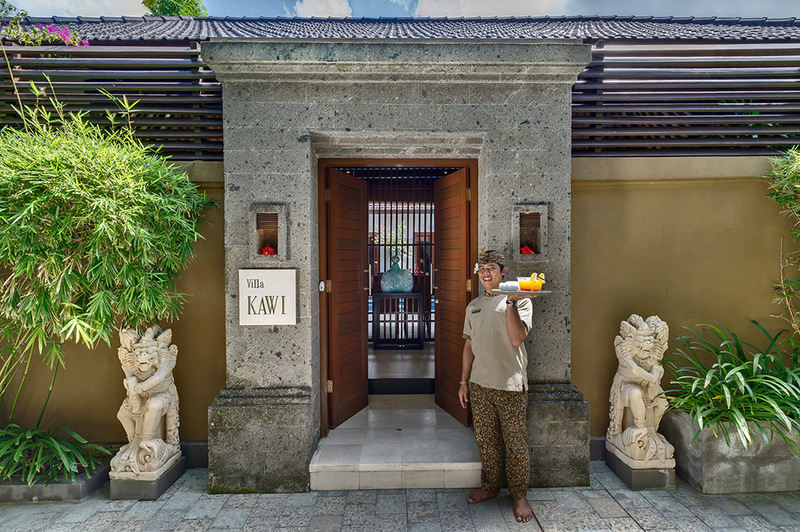 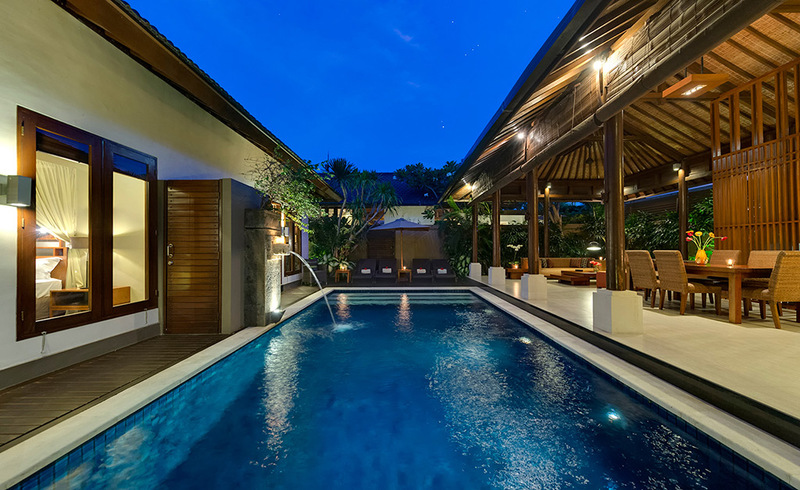 This property offers a peaceful and calm refuge in the heart of the dynamic Seminyak, a famous area for its stunning beaches and world-class restaurants. 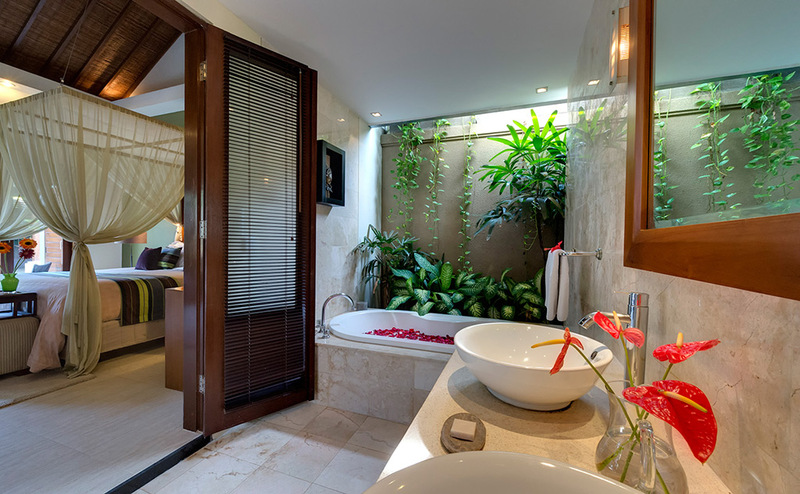 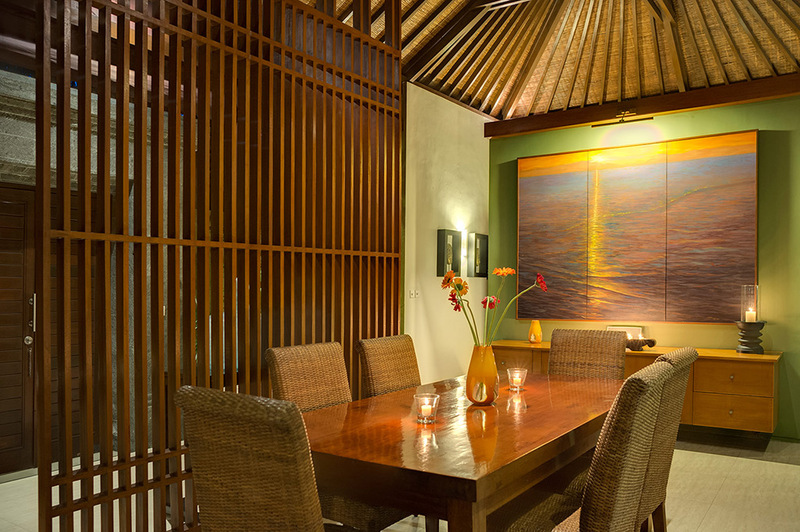 This is the perfect place to rest when exploring Bali as the house is closed to several main attractions of the island. 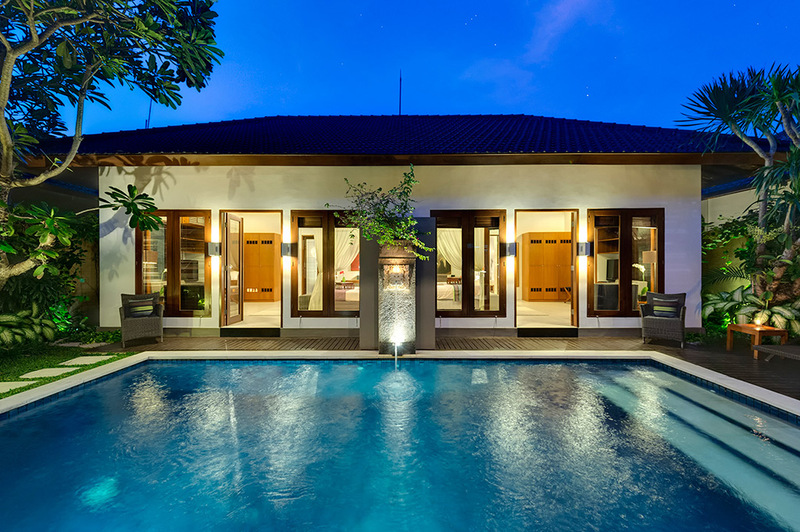 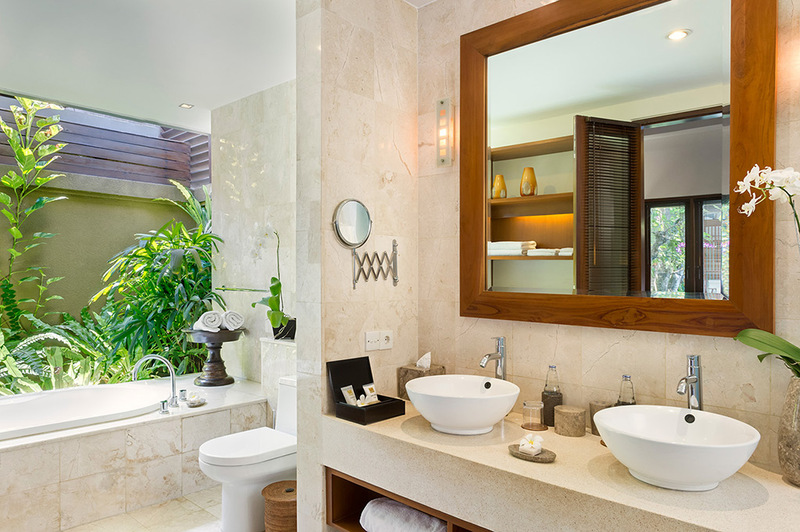 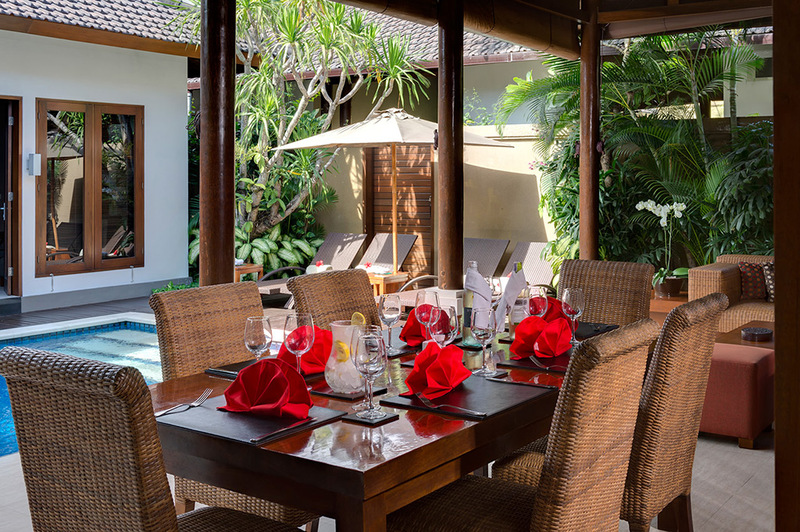 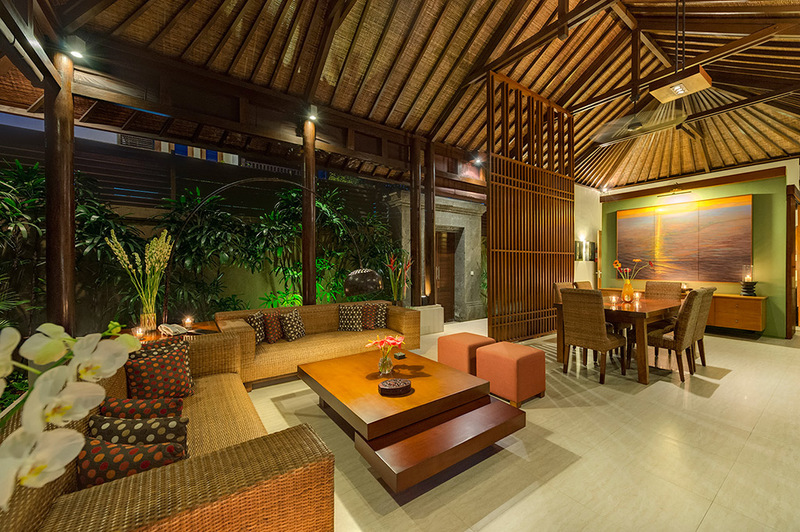 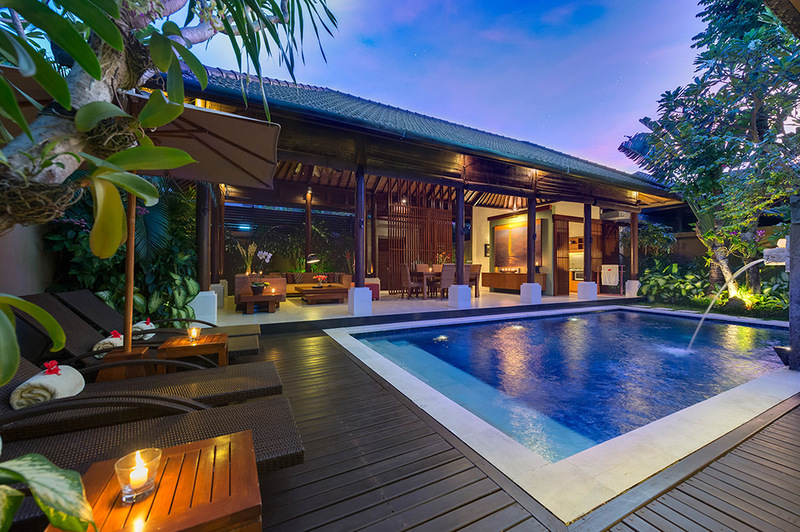 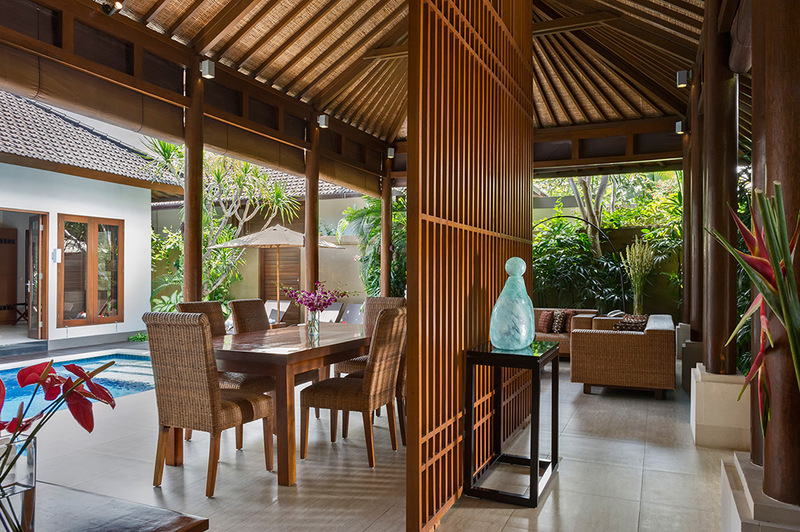 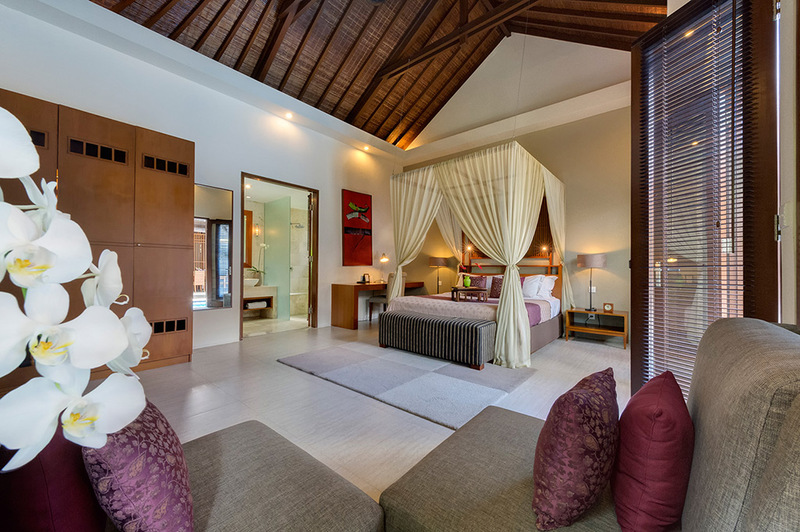 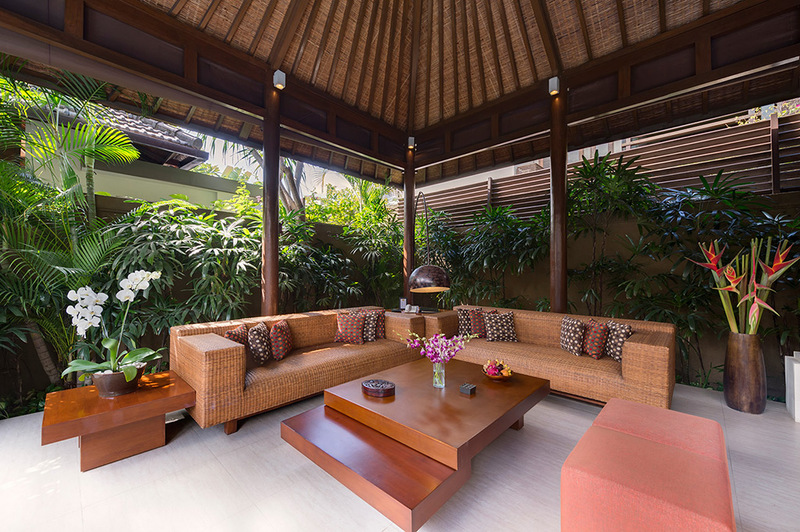 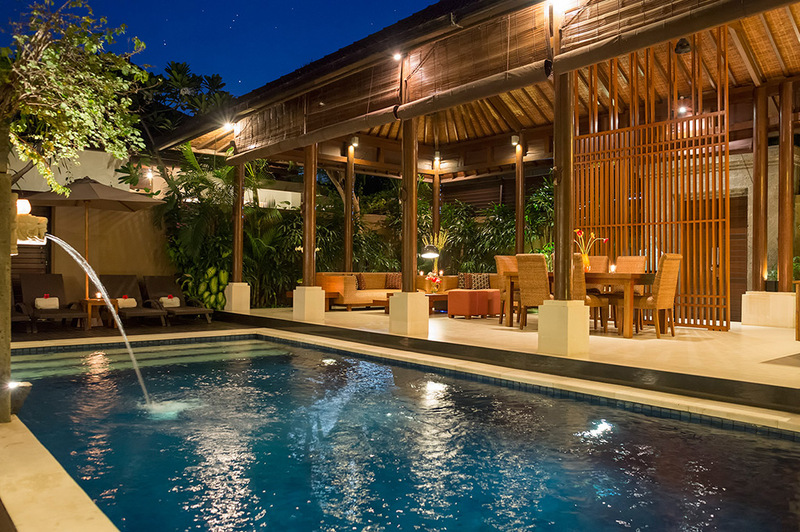 The home, built in a contemporary Balinese design has a typical charm. 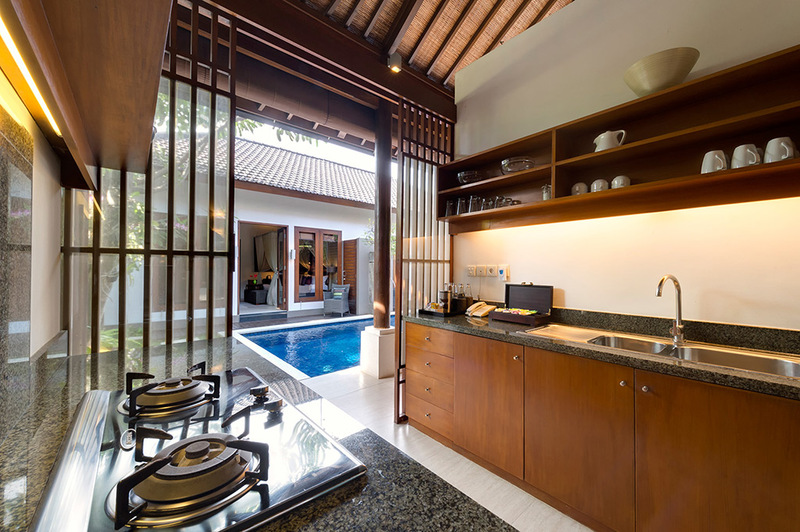 The open-sided living pavilion overlooks a refreshing swimming pool which is surounded by tropical flora, including panda nus palms, frangipani trees and orchids. 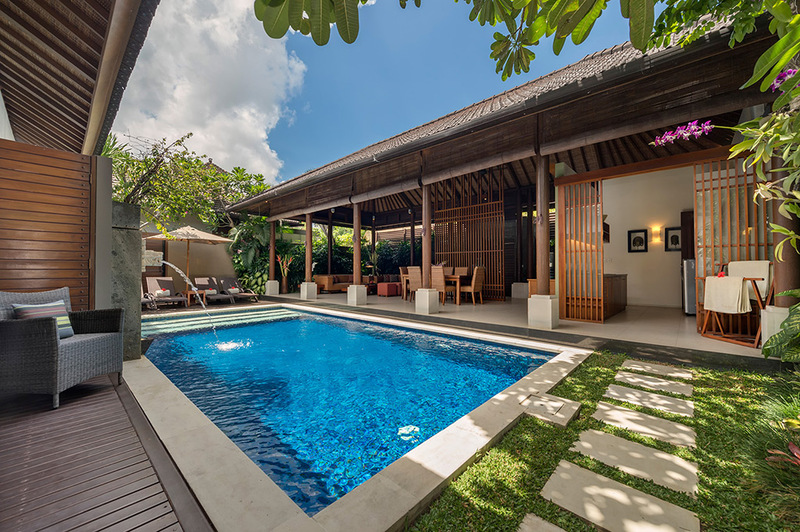 The swimming pool is central to the villa, with an open-plan living area and kitchen on one side, and two en suite bedrooms on the other. 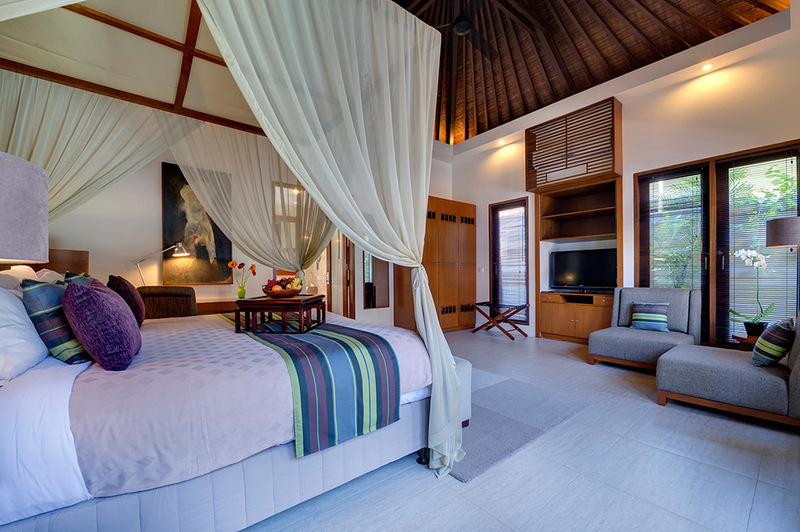 Inside, the two cosy bedrooms have courtyard garden spacious bathrooms.